Prescription medications are essential to medical care. However, when multiple doctors prescribe meds and the patient is inconsistent with taking their meds, it can be very difficult to keep an accurate record of a patient's medication status. 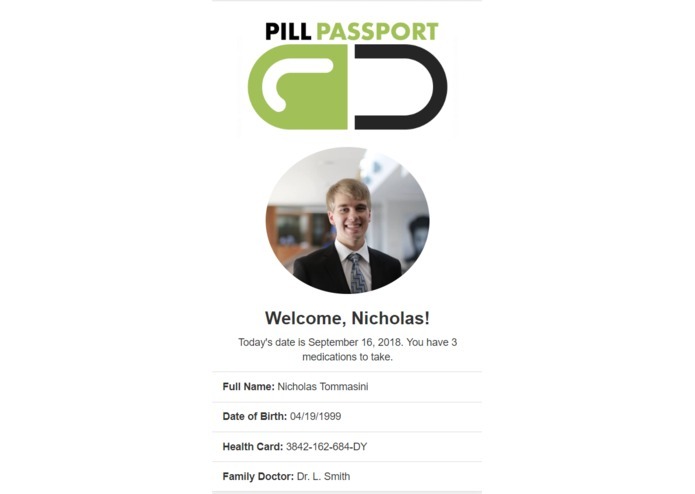 PillPassport, as the name suggests, is a web platform that gives a real-time snapshot of a patient's medication status. All of a patient's active prescriptions from different healthcare providers are clearly listed in one place, offering doctors an accurate prescription list at a glance for each clinic visit. Furthermore, the patient receives a nightly mobile notification to indicate the medications they successfully took that day. This way, whether the patient is struggling to keep up with their doses or has completely run out of a certain pill, doctors will know instantly. Fewer questions. Less confusion. More precise healthcare. 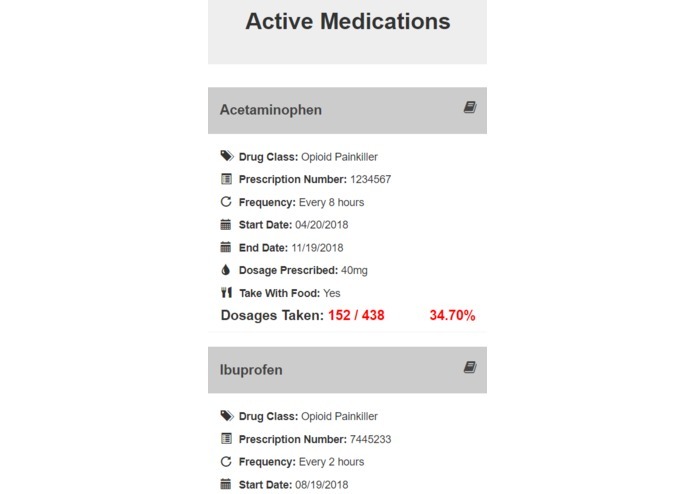 The desktop-based Doctor's View UI enables a doctor to view specific information for each of their patients, including a full list of all of their prescriptions (and each prescription's dose, drug class, start date, end date, dosages taken and expected), as well as a comprehensive timeline of their present and past drug prescriptions. Doctors can also register new patients and prescriptions as needed. This comprehensive data set will enable better decision making for medical professionals. 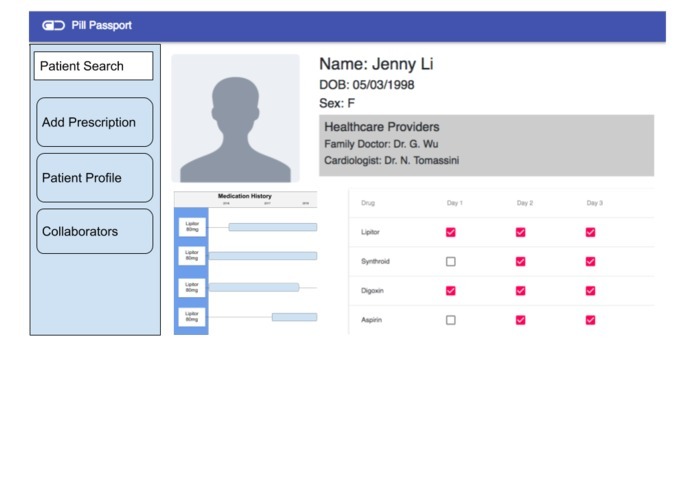 The mobile-based Patient's View UI enables a patient to view their prudent medical data, as well as the most important information about their current prescriptions. It also prompts the user nightly to indicate whether they have been taking their prescriptions as instructed, and logs the information in the system. The front-end of the platform was developed in two branches: a fluid desktop UI designed with React JS that communicates with Axios, as well as a more static mobile UI designed without React JS that also sends get and post requests to the server. Both interfaces are capable of running simultaneously and independently. The back-end was developed with Firebase and Node.js and is hosted online. Server requests are made as necessary for the required information. Coordinating the interaction between the front-end and back-end of the software seamlessly, as well as delivering some of the more ambitious elements, including the picture-scanning features of the product. Successfully coordinating a huge, comprehensive and live database that can be managed, observed, added to and otherwise altered to manage data. We are also proud of developing a solid, easy-to-use UI despite minimal front-end experience. We learned how to successfully implement a server database that is responsive with multiple UI systems and I/O projects. We also learned how to successfully delegate work and request assistance from mentors when necessary to finalize parts we were uncertain of. Implementing a more robust and timely reminder system, as well as picture-scanning functions to record pill labels and automatically log the dosages taken. 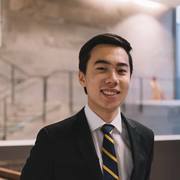 I worked on the backend, learning how to integrate firebase as a database service. Set up an API with CRUD functionality to easily interface with firebase and set it up on heroku. Big lesson learned is to coordinate and plan communication between front end and backend early on in the process, clearly defining the tech stack and practices for implementation.